This is part of a series on migrating from the WP Toolkit. The new Windows Phone 8.1 XAML SDK comes with new controls that previously were only in the Windows Phone Toolkit. One of these controls in the ToggleSwitch. The new ToggleSwitch control is really nice. The team has made some great improvements to this control. Migrating to the new control is pretty easy. 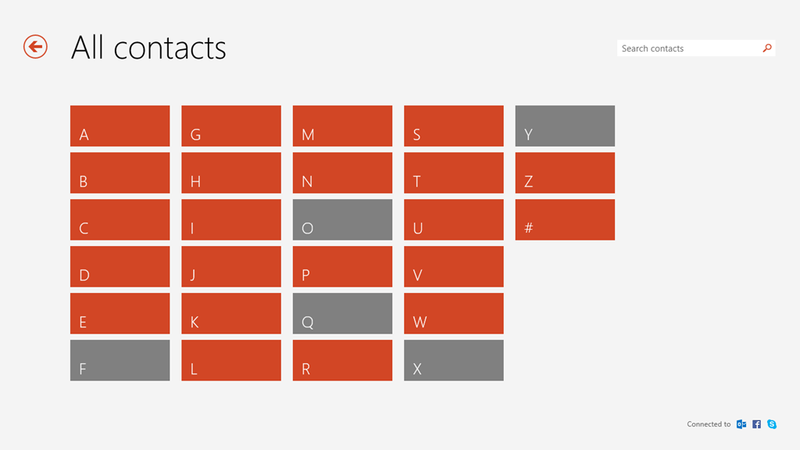 Along with all of the new controls, you no longer need to declare a namespace when using the control in XAML. Instead of IsChecked, you’ll use the IsOn property. The IsOn property is still a dependency property, so you can use binding as well. The toolkit ToggleControl has built in Margins designed for use within a Phone app. 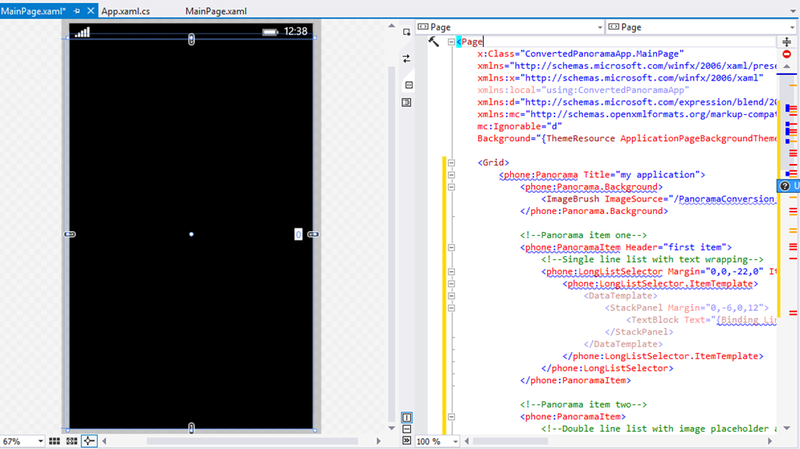 The new XAML ToggleControl does not have any Margins defined. This is the case for all of the XAML controls. For a direct replacement you will have to add the margins in. The new ToggleSwitch comes a few new properties. Four of these new properties allow you to control the “On” and ”Off” content. With the toolkit ToggleSwitch controlling the On/Off content was not that easy. The new OnContent and OffContent allow you to control the text to display when the switch is on or off. So if you wanted to display “true” and “false” you could do the following. The ToggleSwitch also comes with two properties for the template to use for the on and off content. If for some reason you wanted to display an image, you could set the templates to do just that. Replacing the four previous events is one simple Toggled event. I like this change as it is the one stop location for being notified of state change. Having Checked, Unchecked, etc. events just adds bloat. There you go, easy to move over to the new ToggleSwitch and you get some nice new features to boot! With the introduction of the new Windows Phone XAML Apps, Microsoft released new controls that previously only existed in the Windows Phone Toolkit. For any years these controls existed in open source format, but did not allow for contributions. These controls would get some bug fixes, or new functionality/controls every now and then. Ownership of the toolkit changed hands many times and the toolkit was mostly forgotten. There was often complaints from the community that Microsoft would put “must have controls” in a toolkit. I personally liked that these controls were in a toolkit in which I could see the source. It allowed me to learn from the people that know the core code the best. Sidebar: Take advantage of open source software. Contribute or not, it is a great learning tool. A nice thing about it being open was that you could fix bugs that you found. While the source was open, contributions were closed, so you could not submit bug fixes are add features to the toolkit. However, it was possible for bug fixes to come out at any time from the Windows team. With the transition to the new XAML platform, source will be closed. This means that you will not be able to fix any bugs that you find. You will have to submit a Connect ticket and hope it gets fixed in the next update of Visual Studio. The new SDK comes with replacements or the following controls that were previously only in the Windows Phone Toolkit. 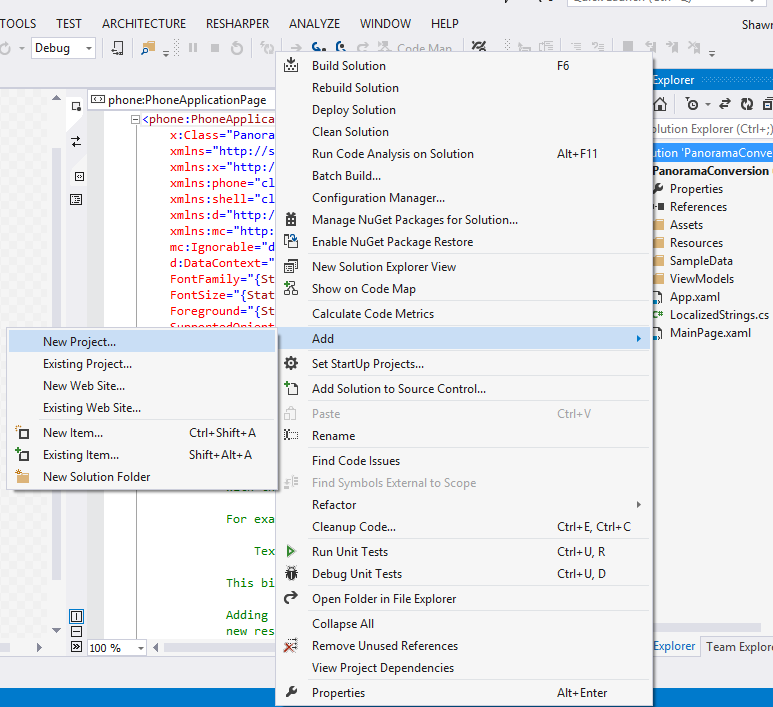 I’ll walk through each one showing how to replace code that used the toolkit version with the new XAML controls. The new Windows Phone 8.1 SDK comes with support for Silverlight and XAML based apps. If you built an app with the Silverlight Phone SDK, you probably used the LongListSelector. This control was released with the Windows Phone 8 SDK for Silverlight Phone apps. This control is still available if you are building Windows Phone 8.1 apps if you are using the Silverlight controls. 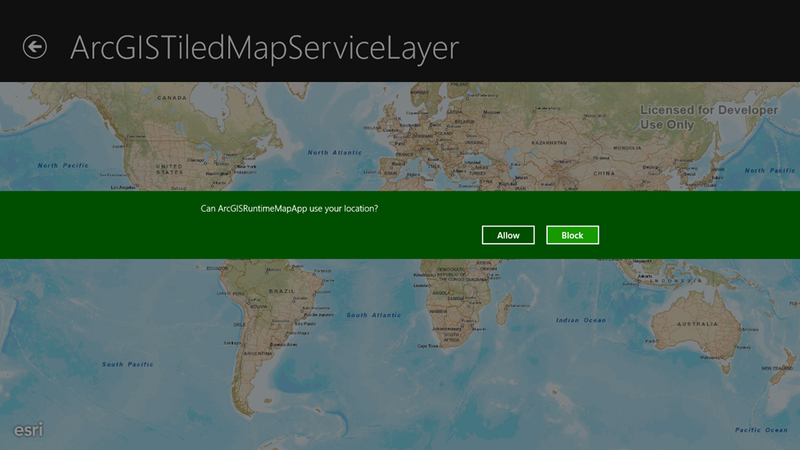 If you want to build a Universal app or just an app based on the XAML stack, The LongListSelector is not available. Instead, we have the ListView control. Moving to the ListView is really easy, provided you did not use the jump list functionality of the LLS. If you did not have a jump list, moving your app over is as simple as replacing ‘phone:LongListSelector’ with ‘ListView’. The LongListSelector was not in the default namespace, whereas the ListView is so there is no need for a namespace prefix. Notice the ListView also did not need the TitlEffect from the toolkit. That is because it is built into the ListView. As you can see, moving over is really easy. Now lets look at the jump list functionality and differences in the two controls. Jump list functionality requires two key pieces. And the style for the jump list itself. The LLS has both the group header and the jump list functionality built in. The ListView has the ability to display group headers, but not the jump list. Moving the group header functionality over is pretty simple. The LLS had the GroupHeaderTemplate, and the ListView has the GroupStyle. 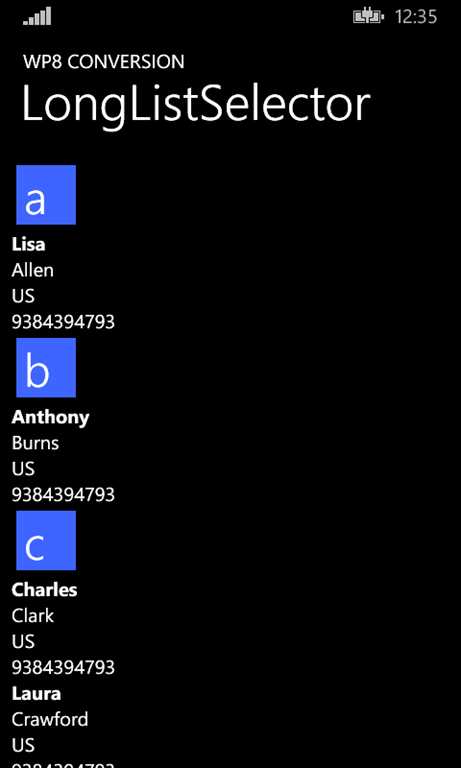 For the rest of the blog, I’ll take the MSDN example of How to display data in a grouped list in LongListSelector for Windows Phone 8. When grouping items in a LLS you had to set the IsGroupingEnabled to true. When you do this, it tells the LLS that the ItemsSource is of type IEnumerable<IEnumerable<T>. It then knows that the ItemTemplate should not be used to display the items of the bound collection. Instead the ItemTemplate should be used to display the items in the collection of each item of the bound source. The ListView does not have a property that will tell it that it should display items within a collection of each item of the bound source. Instead, you should use a CollectionViewSource. The CollectionViewSource does have the IsSourceGrouped property. This works the same way as the IsGroupingEnabled property. The ListView does not have GroupHeaderTemplate or the HideEmptyGroups property like the LLS. Instead it uses a GroupStyle. A GroupStyle displays the header of the group through the HeaderTemplate property and hiding groups though the HidesIfEmpty property. We are able to reuse our templates for both the items in the list as well as the group headers! This is pretty cool. Now we need a jump list. Again, this was built into the LLS. 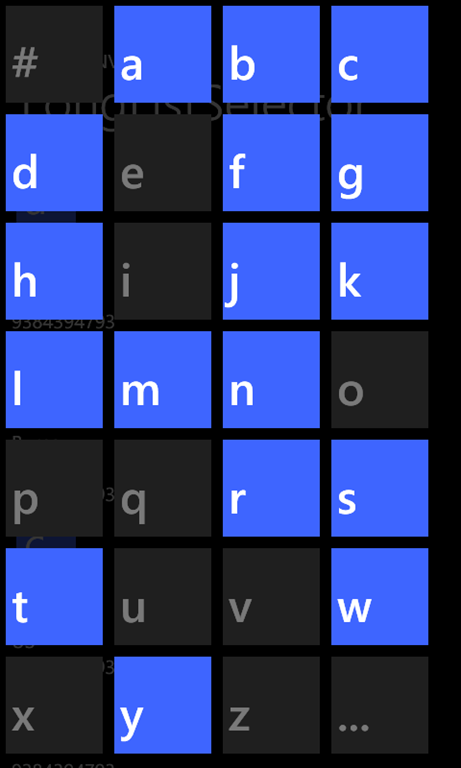 For Windows Phone XAML apps, you must use the SemanticZoom control. This control was introduced with Windows 8 Store apps. It allows you to set a control to display when it is zoomed in, and one for when it is zoomed out. 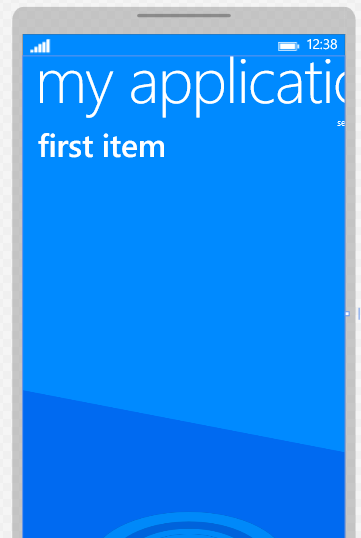 In Windows Store [tablet] apps, you could pinch to zoom out, or tab a header element to get to a jump list control. The People app is a great example of the SemanticZoom control. 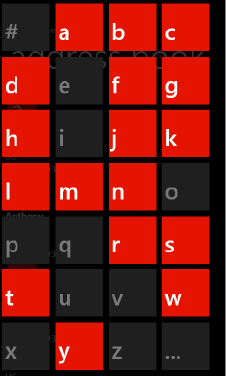 For Windows Phone, this control is also used to display jump lists as well. With the LLS, you would set the Style of the control to use when in jump list mode. This would be another LLS that would display either in list mode or grid mode. 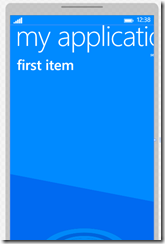 In XAML apps, you set the actual control to use. For our address book we will use the GridView for the jmp list style, or the zoomed out view of the SemanticZoom. The ListView that we built will be used for the ZoomedInView. We need a different template for the jump list than what was used with the LLS. Most of the changes have to do with the size of the squares used. The ItemsSource for the GridView will use the same CollectionViewSource that the ListView uses, but must bind to the CollectionGroups property of the View. The CollectionGroups is only the groups for the source. It is the top level collection. We now have our jump list complete! The first image is the jump list built with the LLS while the second is the ListView. 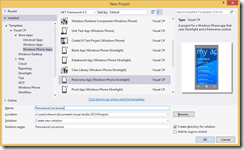 Download a complete sample including getting the complete WP8 Silverlight sample working in WP8.1 XAML apps. Creating apps with live tiles is nothing new. Many apps have live tiles, there are built in APIs for creating live tiles. 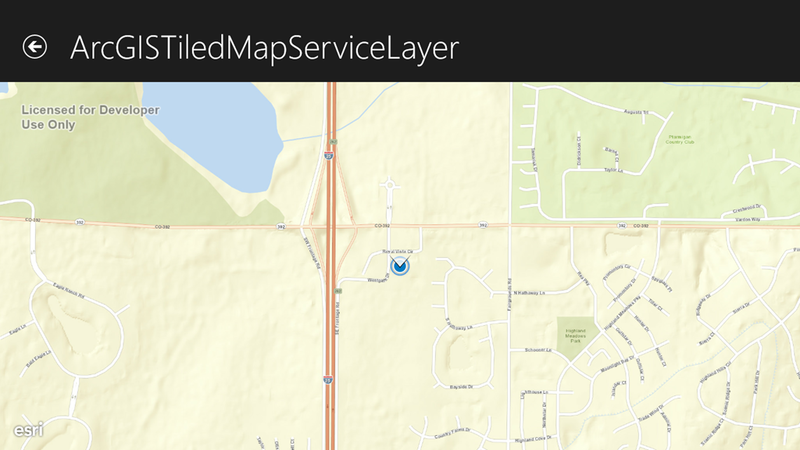 With the release of Windows Phone 8.1 there are new APIs for creating live tiles. 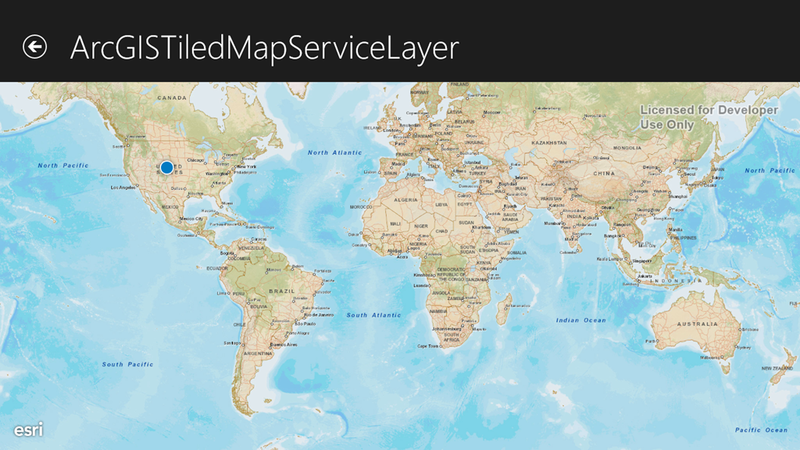 But what happens when the tiles you are creating go beyond what is supported? 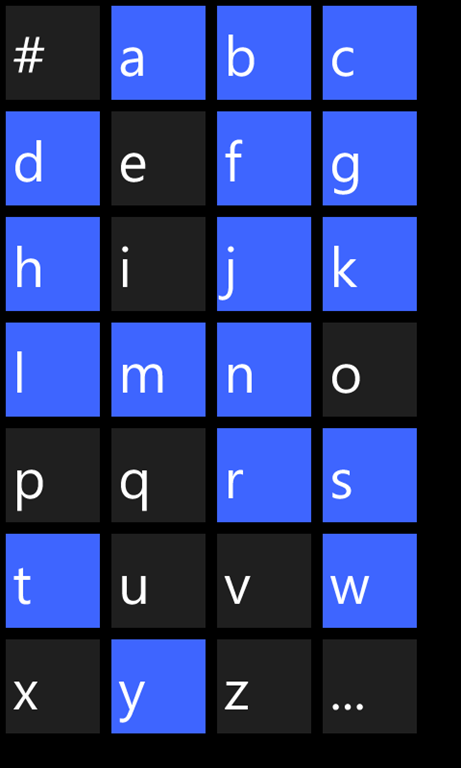 One of the easiest ways to create live tiles is with the WriteableBitmap. I never thought much about this code until I read a blog by Sanjay Sharma titled Transparent Live Tile For Windows Phone 8.1. The blog walks you through creating tile images with transparency. The blog title is a little misleading as it doesn’t talk about live tiles at all. But it got me thinking, how can I ensure that my apps live tiles do have transparency. So I set out to remove the Background from the controls I use for my tiles. This did not work. So I thought I would try setting the background to Transparent. No luck there either. Then I tried setting the background to x:Null. But no luck. I was pretty frustrated and thought using WriteableBitmap would not be a solution for making tiles with transparency. Luckily Andrej Tozon, was there to help me do a face-palm. Of course! The way I’ve been saving the WriteableBitmap is with the SaveJpeg method. And of course jpeg’s do not support transparency. I remembered that Cimbalino from Pedro Lamas had a method to save a WritebaleBitmap as a png. So I added the Nuget pack and changed the save method for my GenerateTile method. And now my tiles always match the background the user chooses. If they change the accent color, it will match. If they select a new background image for the start screen, the tile will be transparent so the image will show through! Now my tiles will always match what the user wants! With the release of Windows Phone 8.1 SDK comes a new StatusBar. The StatusBar replaces the SystemTray from Windows Phone Silverlight Apps. Unlike the SystemTray, the StausBar can only be accessed via code and some functionality has changed. This post will go in depth on how to access the the StatusBar and what the differences are. Just like the new StatusBarProgressIndicator, you can only access the StatusBar via code with the GetForCurrentView method. The biggest different in the table above is not the new events, it’s not the change from IsVisible to the new methods. The biggest difference is the change is functionality in setting the opacity. In Windows Phone Silverlight Apps, when you set the Opacity to a value less that 1, the page content shifts up into the space of the tray. Now when you set the BackgroundOpacity the page content does not shift up. I like this change as it makes the opacity property of all other XAML controls. So how do you shift content up into the status bar area? This functionality is still available, and like the rest of the StatusBar, is only accessible in code. 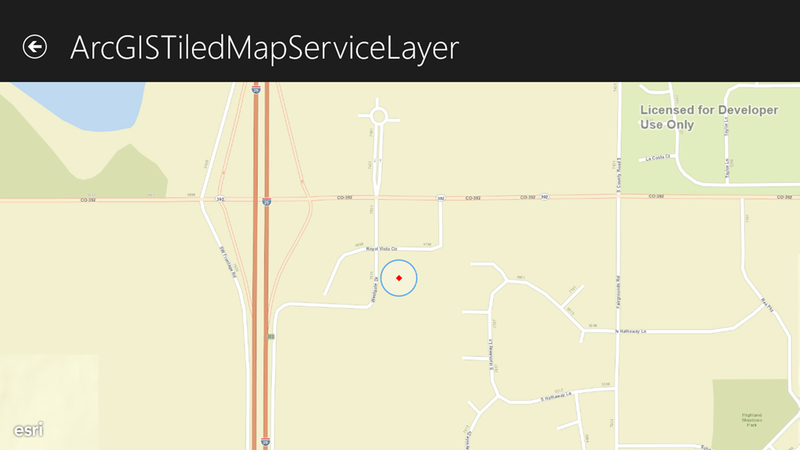 The ApplicationView class provides this functionality with the SetDesiredBoundsMode method. The BackgroundOpacity also defaults to 0 which means that only setting the BackgroundColor will not change the background. You must also set the opacity to the desired value. Just like the new StatusBarProgressIndicator, the StatusBar lost the IsVisible property in favor of two async methods to set visibility. The status bar does have two new events for when the status bar is shown or hidden! The rest of the StatusBar is very similar to the SystemTray. You even have access to the new StatusBarProgressIndicator. 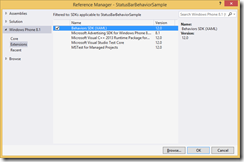 If you are not a fan with accessing the StatusBar in code only, you can create a behavior for accessing it in XAML. 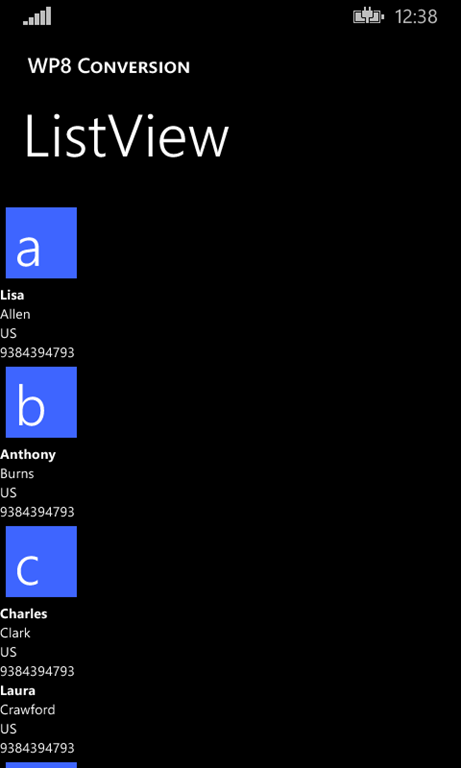 In the last post I talked about showing a ProgressIndicator in a Windows Phone 8.1 XAML App. I mentioned that with the new API you can only show the ProgressIndicator through code. This means that you cannot show the progress indicator using binding, you cannot set a Loading property, or something similar to show/hide the indicator. I’m not a fan of this solution. 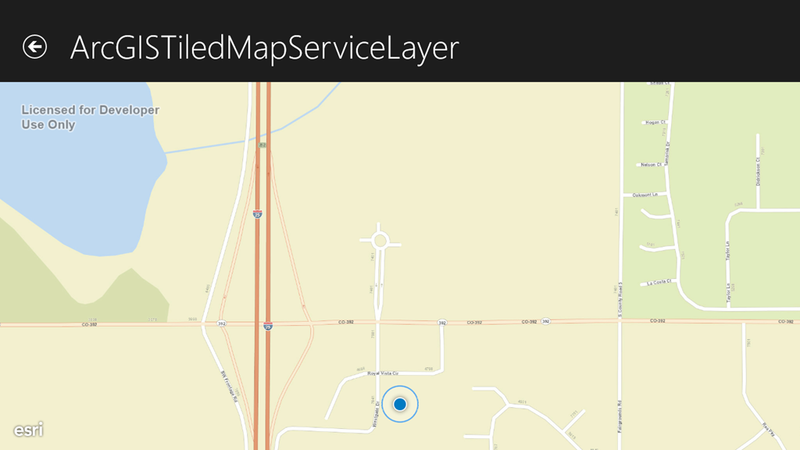 I like using XAML and keeping my view models simple. 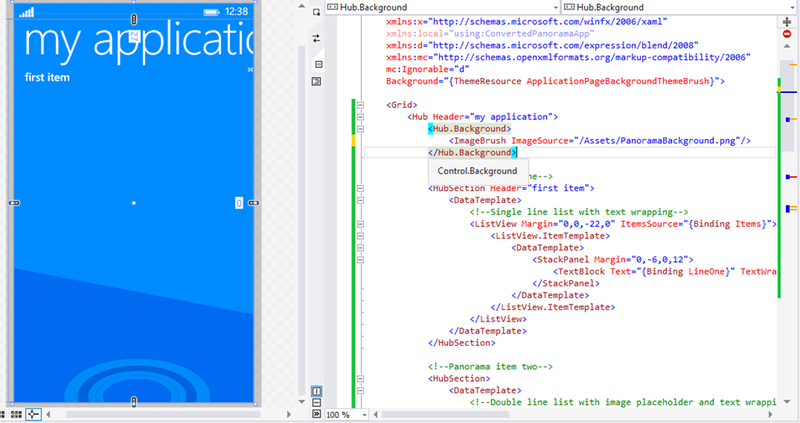 I saw three possible solutions to overcome this and show/hide/modify the progress indicator in xaml. The first is to create a control, use a third party progress indicator, or to use a behavior. I didn’t fully like the first or second solutions as it would require you to put the control inside the content of a page. This just didn’t seem right. 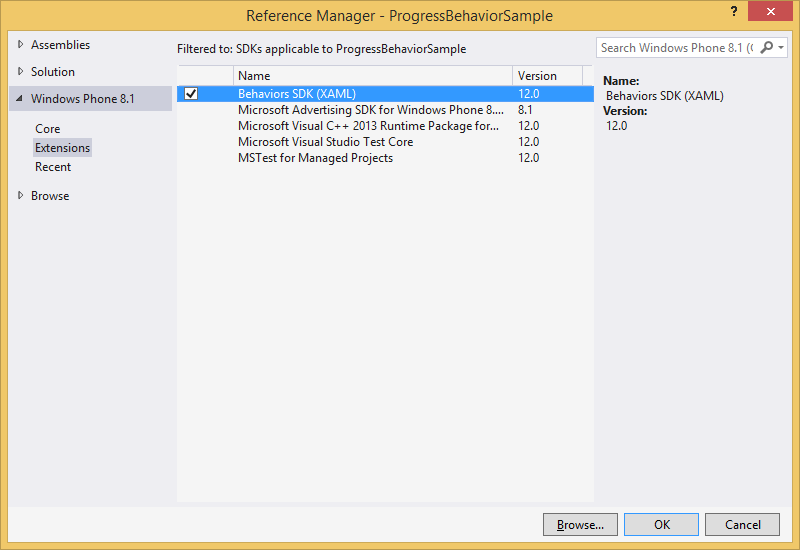 Creating a behavior allows you to place the progress indicator in the same place as you had it when building Windows Phone apps with Silverlight. 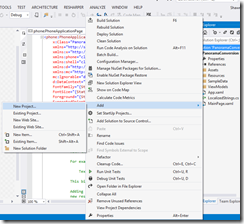 We’ll build a Behavior that will allow us to set properties in XAML, just like we had in Silverlight apps. 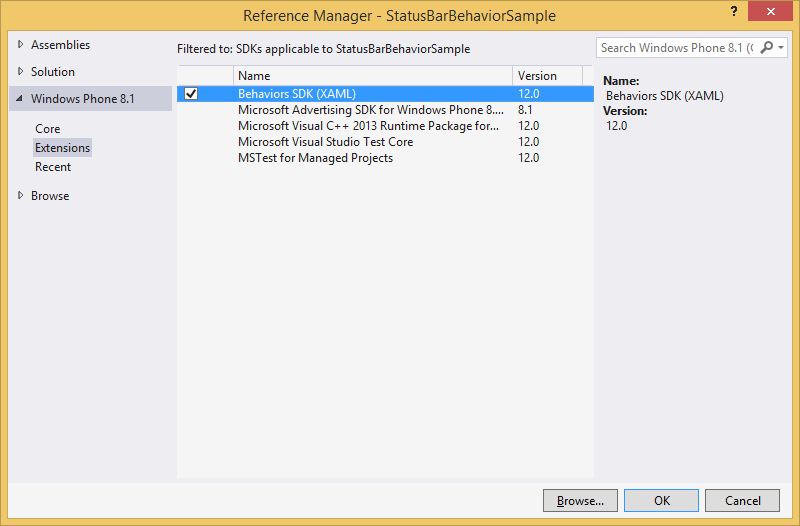 To use behaviors in your project, you must add a reference to the Behaviors SDK (XAML). Add a new class to the project called ProgressBehavior and implement the IBehavior interface. The interface is simple, and for this behavior we will not need to do anything with the methods or property. Instead we’ll add a few dependency properties. I don’t want to completely replicate the Silverlight ProgressIndicator with this behavior so we won’t be implementing all four properties that it had. We will provide a way to set the value, show and hide the indicator and set the text. First we’ll add a dependency property for the text. When creating dependency properties, it’s best to use the ‘propdp’ built-in shortcut. Type propdp and then the tab button. Your property will be stubbed out and allow you to fill in the needed values. First type the type of the property, the Text property will be a string. Then hit tab and give the property a name, hit tab and fill out the rest of the properties (ownerclass will be ProgressBehavior). Notice on the last line, I added OnTextChanged to the constructor to PropertyMetadata. This specifies a method to call when the property changes. When the text changes we’ll set the text of the progress indicator. Next we’ll create a dependency property to toggle the visibility. I like the IsVisible property from the Silverlight Phone SDK because there is no need for converters like a BooleanToVisibilityConverter. We will again need to interact with the progress indicator when the IsVisible value changes. The last dependency property will control the ProgressValue of the indicator as well as if the indicator is indeterminate. This property is not as straight forward as you would think. Following the pattern from before, we would declare the property as such. Error: Converter failed to convert value of type 'Double' to type 'IReference`1<Double>'; BindingExpression: Path='LoadingValue' DataItem='ProgressBehaviorSample.ViewModel, ProgressBehaviorSample, Version=1.0.0.0, Culture=neutral, PublicKeyToken=null'; target element is 'ProgressBehaviorSample.ProgressBehavior' (Name='null'); target property is 'Value' (type 'IReference`1<Double>'). I could go into detail about this, but Dan Rigby already did that. The short of it the nullable double in .NET does not convert nicely to IReference in Windows Runtime. We can fix that by changing the second parameter of the DependencyProperty.Register in our Value dependency property from double? to object. Our property still remains double?. Now that we have that fixed the property, our behavior is complete and can be used like such. Take this behavior for a spin with a complete working sample or just download the behavior. This sample is a little weird because it uses a viewmodel that has properties that you would normally not use. But they are there for the purpose of being able to change the indicator values in the app. If you have built a Windows Phone app before, you probably used the ProgressIndicator to indicate to the user that something was being done. The ProgressIndicator could show indeterminate dots floating from left to right to indicate that you have no idea how long the operation will take to complete. Or it would show a progress bar that would tell the user how much progress has been made. You could show the ProgressIndicator in code, but most likely used xaml. 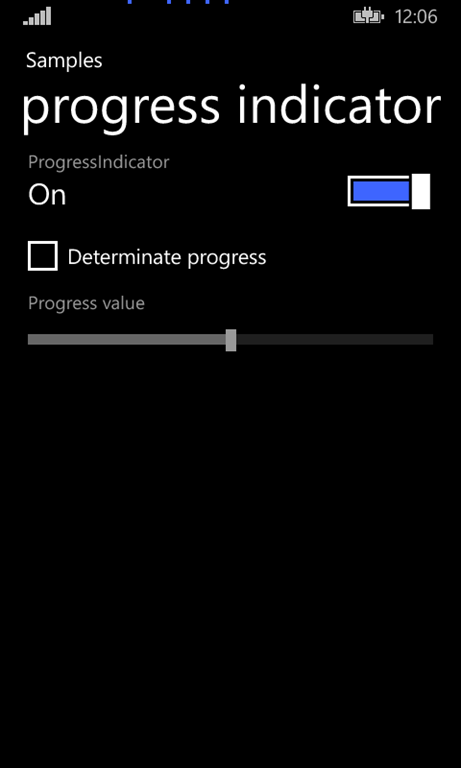 The new Windows Phone 8.1 Apps for XAML also includes the ability to show progress with a ProgressIndicator, now called StatusBarProgressIndicator. Unlike Phone apps built with Silverlight, the new Phone 8.1 SDK does not include a way to interact with the StatusBarProgressIndicator in XAML. You must use the StatusBar static class to work with the StatusBarProgressIndicator. The table below shows the differences between the ProgressIndicator and the StatusBarProgressIndicator. As you can see, the API for the ProgressIndicator has changed a lot. Where the Silverlight API has four dependency properties, the new API has two. The IsVisible property has been replaced with two async methods. With these changes, if you want to show progress, you’ll have to do it in code. This stinks if you want to control the loading state from a view model. But the API is accessible from a static class, so you can access the StatusBarProgressIndicator from a view model, provided your view model is not in a portable class library. You can download a sample that shows controlling the StatusBarProgressIndicator. Overall this kind of stinks.There must be a better way, right? 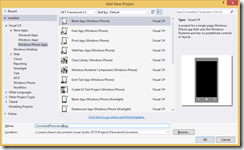 Read Part 2: Using a behavior to control the ProgressIndicator in Windows Phone 8.1 XAML Apps. At //build today Microsoft announced the new Universal Apps that will allow you to build desktop, tablet and phone apps using the same code. These are different than PCLs as they allow for platform functionality (I won’t get into differences between PCLs and Shared Projects here). These new apps will be based on the XAML platform that Windows tablet apps are built on. So this means that you can build Windows Phone apps with new XAML elements that are available in Windows [tablet] Apps like the GridView, ListView, Hub and more. This also means that Silverlight Windows Phone controls will not be available. One of these missing controls is the Panorama control. We’ll look at how we can take an existing Panorama app, and convert it to a Hub app. Migrating to the Hub control from the Panorama control is very easy. 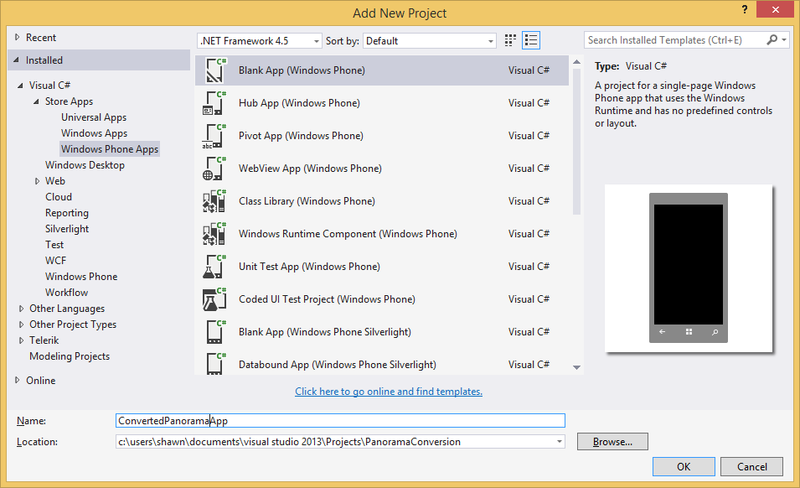 To start, I’ll create a new Windows Phone [Silverlight] Panorama app. I’ll call in PanoramaConversion. Next I’ll add a new project to the solution. 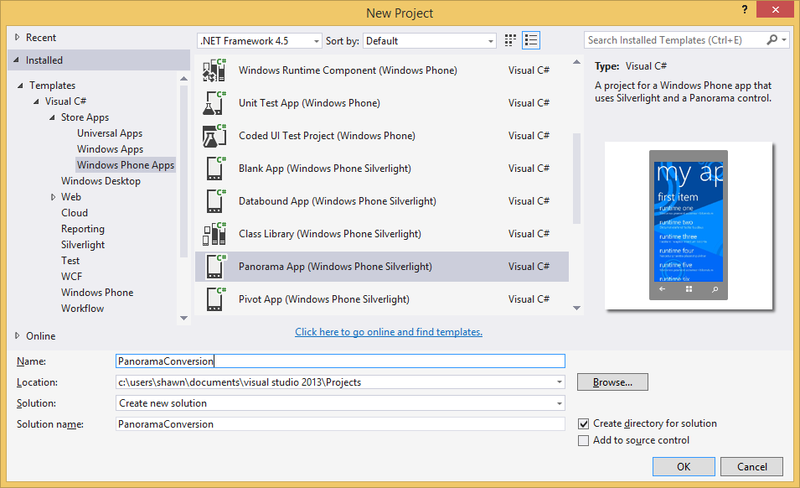 For this project I’ll create a new Windows Phone (not Silverlight) Blank App. I’ll call this one ConvertedPanoramaApp. 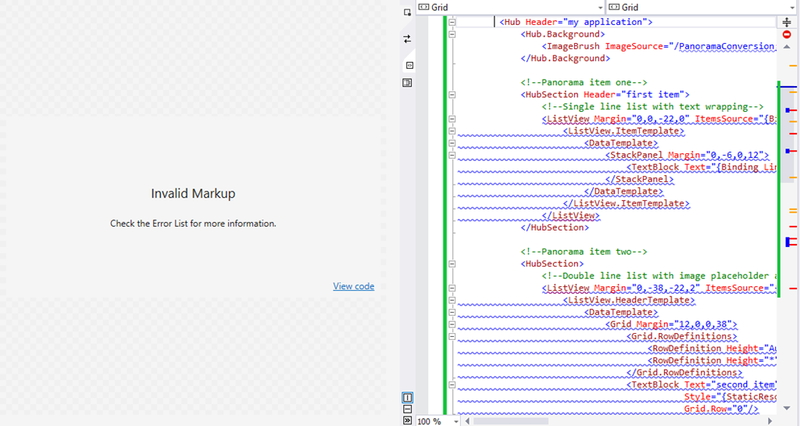 Open MainPage.xaml from the PanoramaConversion project. 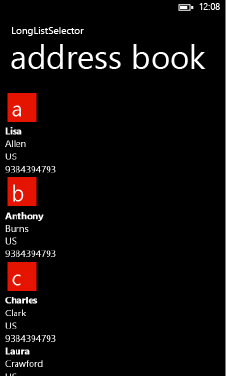 Select all of the xaml for the Panorama control. To make it easy, you can collapse the element, move your mouse to the left and select the entire section. 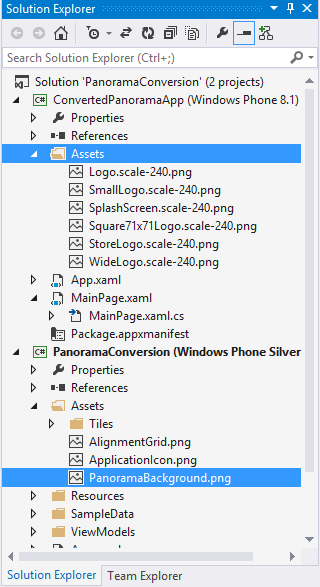 Copy this xaml element and then paste it into the Grid element in the MainPage from the ConvertedPanoramaApp project. replace Title with Header – The Hub control has a Header property while the Panorama control had a Title property. replace Orientation="Horizontal" with Width=”Auto” – The HubSection does not have an Orientation property, instead it defines the Width of the control to be 360. Setting the Width to Auto allows it to scroll horizontally. Because we copied the app as-is. It contains a few LongListSelector controls. This control is not available in Windows Phone XAML apps so we’ll have to replace the use of it with the ListView control. The Panorama App project template has simple uses for the LLS, so it won’t be hard to replace. 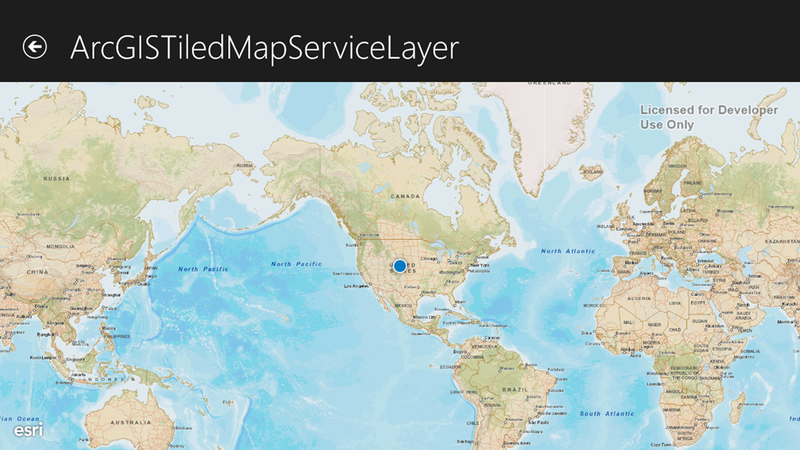 You’ll notice we still have a lot of problems with the xaml. This is because the PanoramaItem is a ContentControl while the HubSection is just a Control. This means that the PanoramaItem allows for direct content within the element. However, the HubSection does define a ContentProperty attribute. This class attribute defines that something can go within the control element. The HubSection defines that a ControlTemplate can be used as it’s “Content”. So we’ll need to wrap the content of the HubSection with a DataTemplate. Next we’ll bring the existing background image into the new project. In the Solution Explorer window, drag and drop the PanoramaBackground.png file to the Assets folder in the new project. You’ll notice the text for the HubSection headers is much smaller than it was in the PanoramaItem. You can make the choice to scale this by using the HeaderTemplate of the HubSection. Usually best to put this into a resource that can be used across all HubSections. The last thing for our conversion is to remove or replace the use of the Phone [Silverlight] specific resources like PhoneTextExtraLargeStyle and PhoneFontSizeLarge. There are replacements, so we can make the following changes. We’ll still need to bring over the sample data from the original app, but I’ll let you do this . You should also be aware that the Hub control will occupy the space of the StatusBar by default. You'll want to take this into account and ensure that the content from the StatusBar does not interfere with the content from your app. You can download a sample project here.